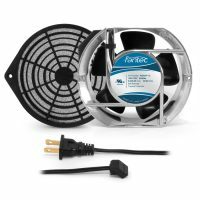 Cabinet cooling fan kits for electronics and appliance cooling are a convenient solution for your OEM electronics company. 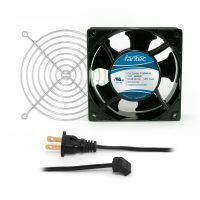 GardTec, Inc. high quality fan kits contain cabinet cooling fans from 80mm to 254mm with wire fan guards or polyurethane fan filters. 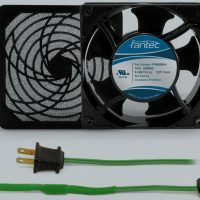 Each fan kit comes with a long fan power cord. 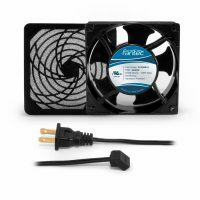 GardTec, Inc. is your answer to commercial appliance and heat dissipation, providing high efficiency fan accessories at extremely competitive prices. 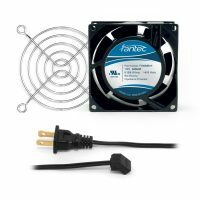 Shop our CAB70X series cabinet cooling fan kits or browse our full inventory of outstanding electronics cooling parts. 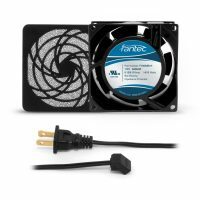 Cooling fans are usually used to cool electronic devices. 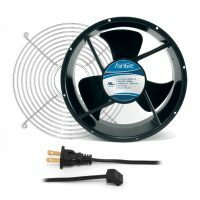 While looking for a cooling fan there is few things which you should take care of like, its voltage, noise and size. 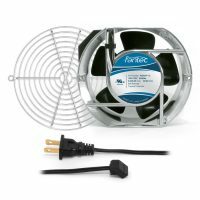 Shop all top of the line home cabinet cooling fan kits from GardTec Online to keep your electronics from overheating.